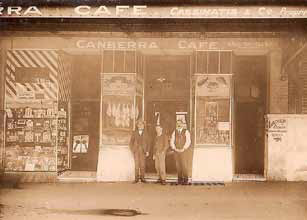 The Kytherian Brotherhood of Australia, now known as the Kytherian Association of Australia, had its humble beginnings in Sydney in May 1922 when several Kytherian expatriates met in an Oxford Street café to discuss the formation of a new fraternal association - which would function almost like a substitute family - to maintain and promote the diaspora’s links with the island of Kythera. Although small, the Kytherian community which existed in Sydney in the early part of the 20th century was tight-knit and very supportive. 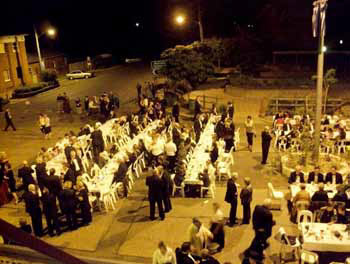 In 2012 the Kytherian Association in Sydney celebrates its ninetieth year as a prominent player in the broader Greek-Australian community. The Kytherian wave of migration to this country is legend. By 1940 it is estimated that there were approximately 2,200 Kytherian settlers in Australia, mostly men and mostly arriving in Sydney before moving on to country towns in search of work. As the historian Charles Price wrote, the Kytherians had a special system of “business promotion”, a procedure where many newcomers started as assistant cooks, waiters and counter-boys in established restaurants, milk bars and cafes, and then moved on after a few years to their own little business in some other town, then gradually passed on from town to town, each time obtaining a larger and more prosperous business until finally many of them moved back to Sydney as men of means and substance. Kytherians were resourceful and industrious, because they had to be. Fast forward to 2011. The Kytherian nexus to the bush is part of the grand narrative of Kytherian migration to Australia. In April of that year the beautifully-restored art deco cinema, the Roxy, together with the adjoining Peters Café in Bingara in north western NSW celebrated its 75th anniversary with a fantastic "glendi". Three resourceful Kytherian entrepreneurs had established the Roxy cinema - their palace of dreams - in this small rural outpost. It was just after the depression and it was a calculated gamble which ultimately failed. But their legacy remains and it was an incredible journey back to Bingara to relive the halcyon days of the Roxy and the Greek café phenomenon. The migration connection has never been lost on the Kytherian Association. In 1916 one of the first books published in Australia in the Greek language - appropriately titled Life in Australia - was sent off to Greece for prospective migrants to read. It was like a Who’s Who of successful Greek businessmen in the land downunder and not surprisingly many Kytherians featured prominently. That book has long gone out of print but the Kytherian World Heritage Fund - an offshoot of the Kytherian Association managed so adeptly by stalwarts Angelo Notaras and George Poulos - arranged for the book to be translated into English and republished in both its original Greek and newly-translated formats. The re-launch was a great success. We do not forget our roots. The Kytherian Association is also at the forefront of translating and publishing in English seminal works that would otherwise be lost on current generations whose command of Greek is sadly lacking. The eminent Kytherian historian Manuel Kalligeros has written two books dealing with Kytherian surnames and place names and their tranlation into English will prove a treasure trove. We are all curious as to where our parents came from and what the significance of our surname is. Even the quaint mesa dimou/ exo dimou demarcation still figures in some discourse. And yet in terms of geography it is truly a case that East meets West on Kythera. Another exciting development has been the creation of the www.kythera-family.net website. The Kytherian Association of Australia was instrumental in establishing and maintaining this ultimate global network of the Greek diaspora which reaches into Kytherian and other households all over the world. This website reflects the digital progression from the chain migration of the pre and post-war years to a virtual migration on the internet as communities are brought together. Over the years the Kytherian Association has tried to keep its members informed, culminating in recent years with a monthly colour newsletter (The Kytherian) which has developed into a quality publication that both informs and entertains. It has been described as the “glue” of the Kytherian community. Anecdotally speaking, the newsletter extends beyond the current membership and finds its way into many households and not just Kytherian. But it has not always been smooth sailing. During the late 1970s and 1980s the Kytherian Brotherhood tried to set up and run a Social Club in Regent Street Chippendale. The failure of that experiment was a low point in the history of the association as the building’s upkeep was a constant drain on the associa­tion’s finances. The Chippendale building was eventually sold and successive committees set about looking for a suitable investment property that also allowed the Association to create a library and resource centre. 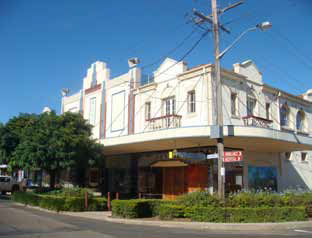 In 2009 the Association made an astute investment when it purchased a small commercial building at 24 King Street Rockdale destined to become the New Kythera House. With solid rental income but also an upstairs area that was vacant, the possibilities were endless. 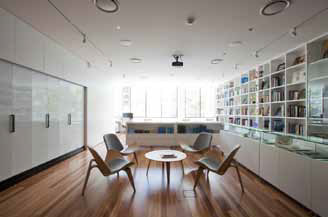 And so it was that in February 2012 after a substantial and inspired renovation the Association’s new Hellenic-themed library and cultural resource centre was finally unveiled. The Roman philosopher Cicero commented that to add a library to a house is to give that house a soul. Our new library, named the Nicholas Anthony Aroney Library in honour of the great benefactor, will house a rich collection of books, manuscripts, articles, newspapers, artefacts, memorabilia and other items that will serve as a valuable inheritance for generations to come. For our library is more than just a room full of books. It is a place of contemplation; a centre for research and learning where our history, our sense of being, comes to life. It is indeed a library for the soul. As it has done for decades, the Kytherian Association of Australia will continue to stage cultural events, including dances, a debutante charity ball, book launches, seminars, picnics, movie nights and so on. It will continue to sponsor sporting teams and other recreational groups. It will continue to stage Greek dancing classes to ensure that our folkloric traditions are maintained. It encourages the new and exciting community-based archaeological excursions on the island as Kytherians literally dig into the past. It will also continue to support the Kytheraismos symposium - held in Kythera and elsewhere on an alternating basis every two years - in offering opportunities to Kytherians and philo­Kytherians to embrace and perpetuate the spirit of belonging to Kythera. But the biggest challenge is generational change and the risk of dissolution that has befallen some of the Kytherian associations and brotherhoods in the United States. As the Kytherian Association of Australia heads towards its centenary, we need to ensure that generations to come will continue to make that journey, both physically and spiritually, in the knowledge that our collective Greek consciousness must never die or disappear.